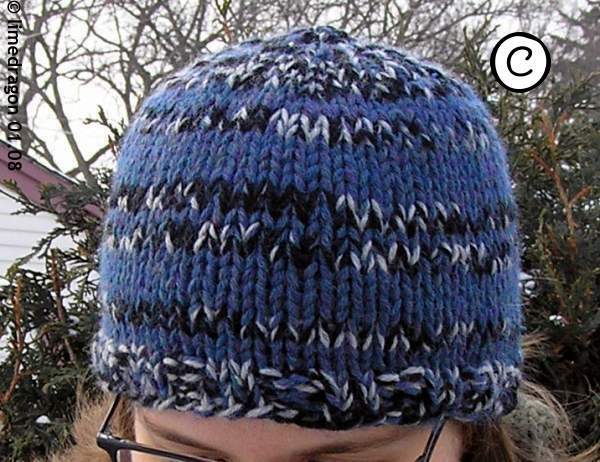 This hat was born out of the need to use up stash yarn. I had just a bit of Wool-Ease Thick & Quick (Super Bulky weight), and found that I could combine three strands of Worsted weight yarn and maintain gauge. The stripes were designed to use up the 40 grams of leftover Wool-Ease Thick & Quick and to create visual interest. 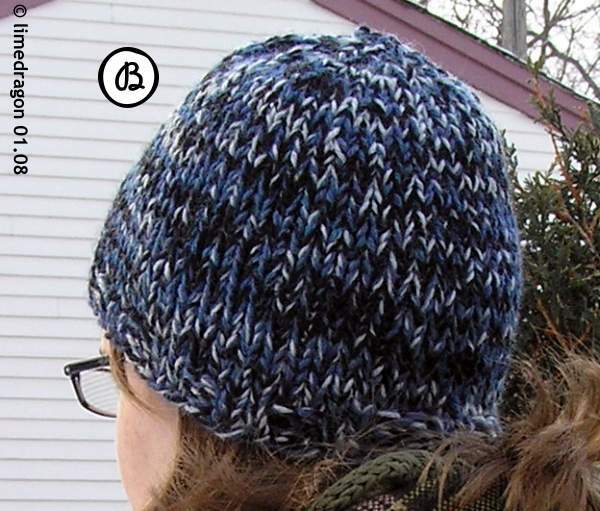 Knit this hat plain, follow the stripe sequence included in the instructions, or create your own sequence! 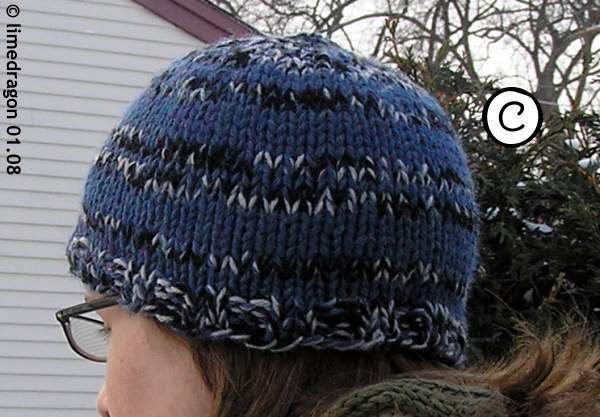 You will need US 10.5 (6.5 mm) and US 10.75 (7 mm) needles. 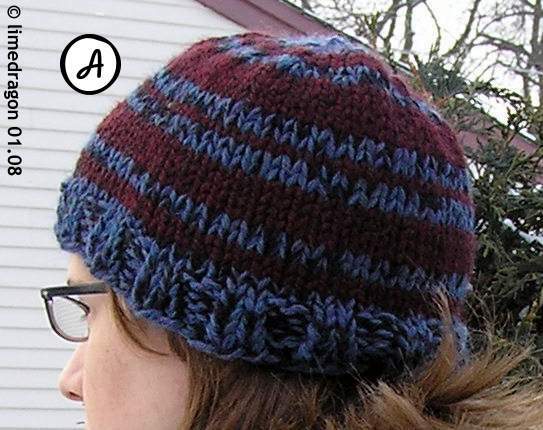 Gauge is 11.25 stitches per 4 inches (10 cm). Instructions for two sizes are included: Medium (18 inch circumference / 46 cm) and Large (20 inch circumference / 51 cm).